There has been no shortage of debate over all the policy that has come out of the Trump administration, and I myself can’t say that I support much of what our president has done during his time in office. But President Trump has recently made one compassionate decision that I could not be more grateful for. 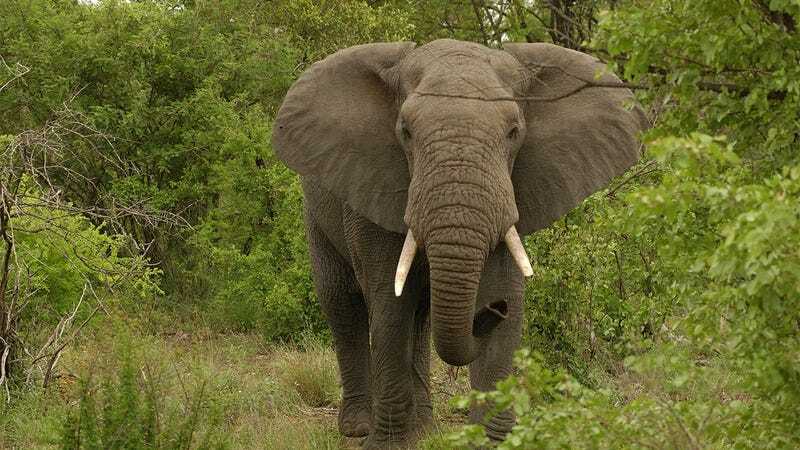 Trump is ending the senseless ban on elephant trophies, and now my wife can finally get the elephant head transplant she desperately needs to live. I have spent 18 wonderful years with my wife, who is an incredibly strong, inspiring woman and who badly needs to have an elephant’s head grafted onto her shoulders in order to survive. But thanks to a pointless Obama-era restriction banning big-game hunters from importing the carcasses of slain elephants from Africa to the U.S., the past few years of my life have been consumed by the near-impossible task of finding an elephant trunk my wife can breathe through, elephant ears my wife can hear with, and an elephant brain my wife can use to restore normal function to her body. This ridiculous ban has forced me to look to the black market, only to have these parts arrive in the U.S. half-rotten due to the drawn-out smuggling process. But now that the ban has been officially lifted, I have hope that my ailing wife will one day enjoy some semblance of a normal life—just like all Americans deserve to do. When my wife’s body rejected the domestic donkey’s head transplant we attempted as a holdover until we could get our hands on a fresh elephant, I was in a pit of despair. I briefly had hope when we got put on the waitlist for an elephant’s head at the San Diego Zoo, but then I found out that there were thousands of other sick people ahead of us. Now, I have already contacted multiple poachers who are currently working to hunt down endangered elephants in Zimbabwe, and I’m confident the woman I love more than anything will be playfully shaking her new tusks within the month. Once my beautiful wife gets her transplant and acclimates to the aggressive immunosuppressant dosing, we can finally take that trip to Tahiti like we always planned. I can already imagine rubbing sunscreen on her leathery, gray elephant face as we lay in the cool island breeze, and I owe it all to President Trump’s compassionate executive action. It’s not every day our government does something that shows it truly cares, but today is one of the days it did. And it’s one of the best days of my life. Thank you for ending this cruel and nonsensical ban, President Trump. And thank you for finally allowing me to procure the severed elephant’s head that will save my wife.